Why we Extra Life: For kids like Maddox. On Saturday, Dec. 1., UPMC Children’s Hospital of Pittsburgh will have a very special Extra Lifer playing for them: one of their own patients, Maddox. “Maddox’s cancer journey began in October 2010 when he was 6 years old. It all started with a bloody nose that ended up being a tumor the size of a grapefruit on his right adrenal gland. All was going as planned as he went through his treatments. When Maddox returned for scans after he was in remission for 18 months, an inoperable tumor was discovered on his right hip. Maddox and his family traveled to another children’s hospital for a clinical trial. On March 29, 2012, Maddox was in remission again. But, only three days later, he was paralyzed and diagnosed with Guillain Barre syndrome, a disease that attacks from the feet up. He was in the Pediatric Intensive Care Unit on a ventilator for two weeks. From the hospital, Maddox spent two months at the rehab center where he relearned how to walk, eat, and write. All of his abilities and feelings returned, except for some lingering weakness in his left foot. Ten months later, a small tumor was found on his spine. He started more treatments and the tumor was shrinking until it exploded after six weeks and grew drastically in his back. After Maddox felt his mouth becoming numb and weak, an MRI showed a tumor on the back base of his head. His family was left with few options. 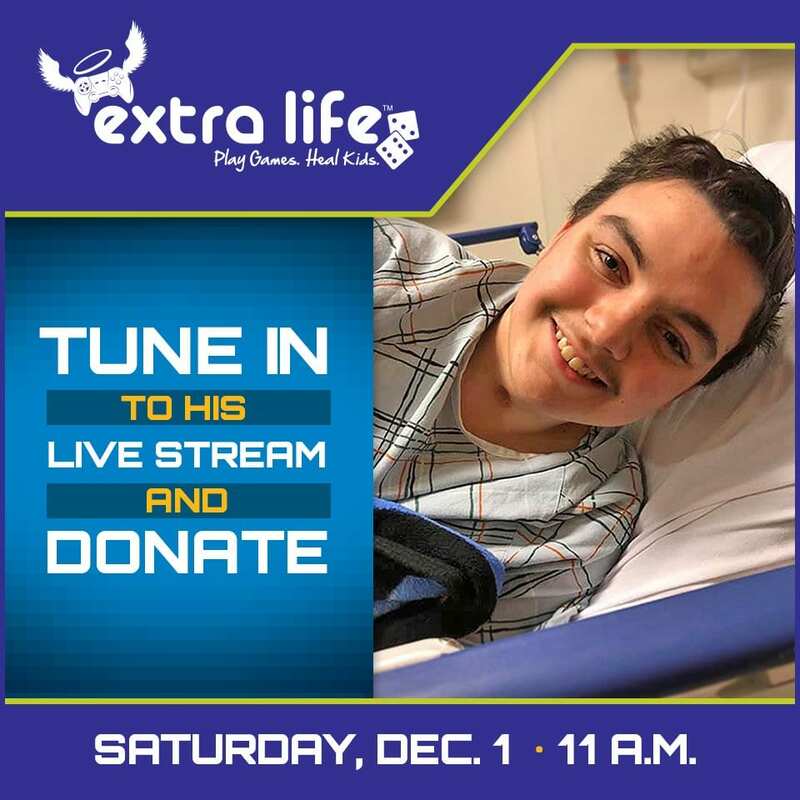 Please tune in to give Maddox some HYPE for his support of Extra Life and his children’s hospital on Saturday, Dec. 1 at 11 am on Twitch – his username is madghost0821. This post honors first-year Extra Lifer Maddox playing for UPMC Children’s Hospital of Pittsburgh. You can learn more about Extra Life at extra-life.org. Next post: HyperX joined the party!